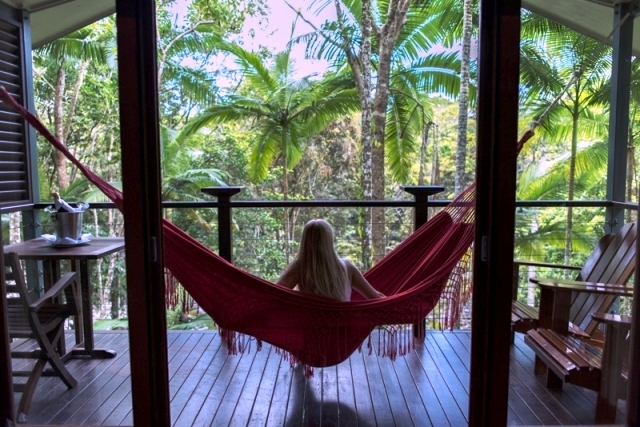 Lying in a hammock on the balcony of a treehouse on stilts, overlooking the rainforest, listening to the birds, and the soft lap of the river below… it’s one of those moments you never forget. 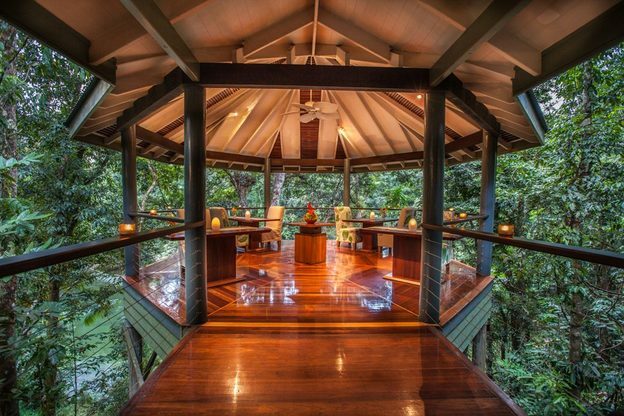 A member of Luxury Lodges of Australia, Silky Oaks Lodge is an eco lodge and spa that promises ‘tranquility in the rainforest’ – and it delivers. 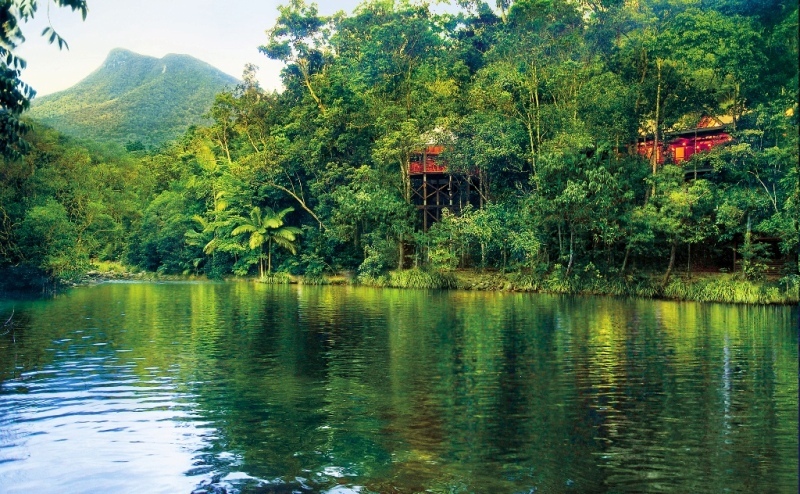 Set high above the Mossman River, it’s surrounded by lush rainforest and feels very remote, but we still find it a very accessible base for exploring the natural wonders of the nearby areas – not just any wonders, but world-famous heritage sites such as Daintree National Park and the Great Barrier Reef. All 40 rooms tree houses and suites are special, but we are lucky enough to have a River Treehouse (named Wallaby, rather sweetly). It’s a generous 47 square metres large, with a very comfortable bed as well as a day bed, arm chair and footrest – though the hammock on the veranda feels the most close to nature. There’s a beautiful tea set and a selection of local teas, which we enjoy with the homemade biscuits on offer. There’s a fridge, and an iPod music system, though the local radio is having a ‘Which 80s tune is better than chocolate?’ weekend, which amuses us for a while (especially as we have been left a box of chocolates as a welcome present from the management. In most cases, it’s a tough call). 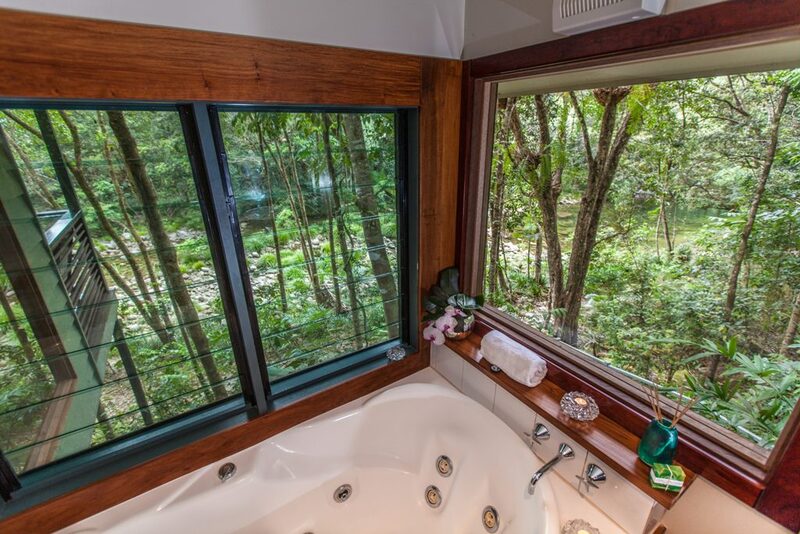 Possibly even more relaxing than the hammock is the spa bath in the large bathroom, which overlooks the rainforest – an inviting place for a bubble bath with bubbly. I postpone this particular event til after our late afternoon guided walk, which is complimentary for hotel guests. 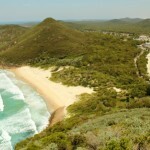 We’re the only two on the walk today, so get a personalised tour around the grounds and the rock streams with lots of interesting stories about local Indigenous history and characters, as well as details about the flora and fauna. As ever in Australia, it pays to look out for snakes, but we don’t see any – just beautiful plants and flowers and the occasional bird that prefers to be heard and not seen. Other complimentary activities include yoga classes, swimming pool, mountain bikes, kayaking and snorkelling – we have a good splash around the river in the hotel kayaks. 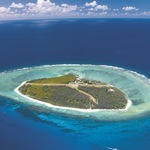 Paid activities range from treatments in the Healing Waters Spa to day safaris and river cruises and helicopter flights. But there’s plenty of nature to enjoy within the lodge area for at least a few days: the retreat attracts a lot of honeymooners and empty-nesters who come here to chill out. 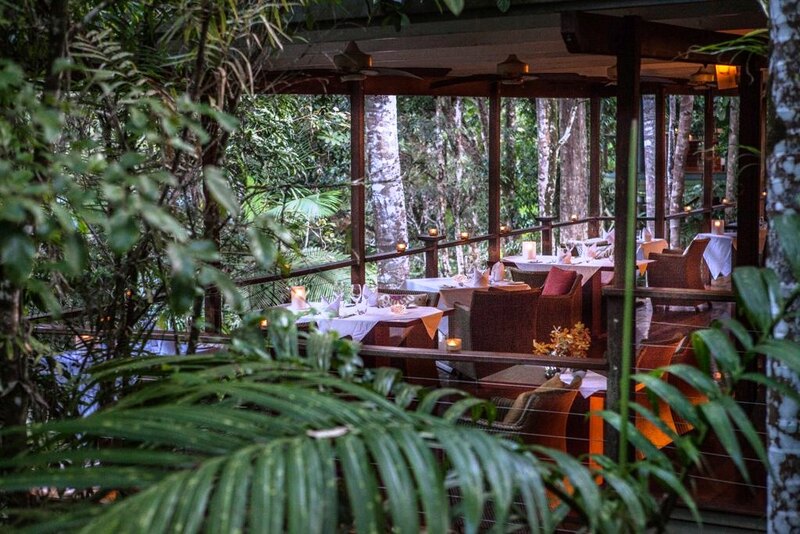 With our secluded lodge, the main time we see the other guests is in the Treehouse Restaurant, which enjoys a similarly spectacular view of the river. An elegant space decorated using natural woods, it offers modern Australian cuisine with European and Asian influences. 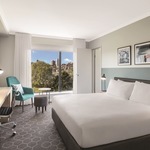 There’s a bar menu for snackier offerings, and a hearty breakfast with an expansive buffet and cooked options including a delicious Eggs Benedict. We’re only at Silky Oaks Lodge for one night, but it’s enough to start feeling our stresses slip away – especially when we take a morning dip in the billabong, the sun glistening on the waterfall. That, again, is one of those moments I will always remember.